All events are ‘club’ level events, which means you don’t need to enter in advance. Just turn up on the day and pay your entry fee of £3/ 4 usually. The events themselves are open to anyone, but to be eligible for the championship you must be a first claim Manchester Wheelers member. The winners of the series are the man/lady with the fastest accumulated time over all 3 events. Most importantly trophies are up for grabs, which will be awarded at the annual dinner. 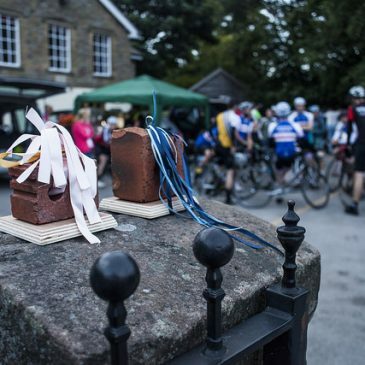 For the Brickworks, we have Pott Shrigley Village Hall again as HQ (on the junction of Shrigley Rd and Bakestonedale Rd) and as an added bonus, the fastest rider on the day walks away with the legendary Brickies trophy, plucked from the heap by Hollys own hand! If anybody is available to help out for that one please let Dan or Holly know.